Everyone knows that sending routes from high category requires a lot of physical and mental efforts. This is to say that the more we train in the gym, the more difficult projects we choose. 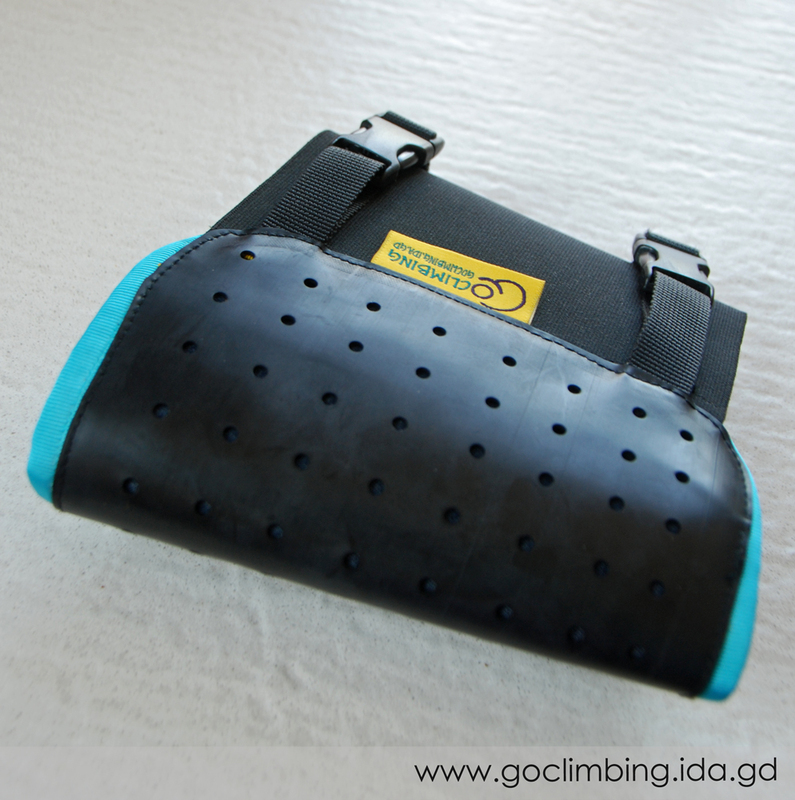 The holds and food holds become smaller, the overhang – more powerful and even the smallest details becomes crucial. 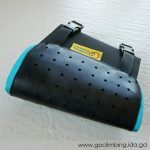 In other words the foot hold are so precise that the model and brand of climbing shoes can be determinative to whether the leg will stay on the step or will “slaps”. 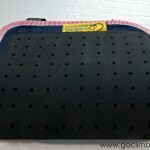 In addition the knee bars are sometimes so precise that big knee pads can make them difficult… If this is the case you have to choose the climbing knee pad Perseus. It is small, light and precise. 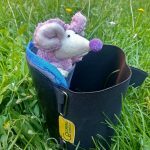 When I faced with this problem, I found that Danaë model is very suitable for knee bars on a large holds, but if knee bar must be on small crimp often it’s not good enough. 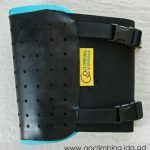 For this reason, I developed another model – climbing knee pad Perseus, which is much more suitable for precise knee bars. 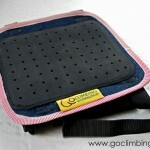 The climbing knee pad Perseus is smaller, because it is designed for knee bars on small holds. 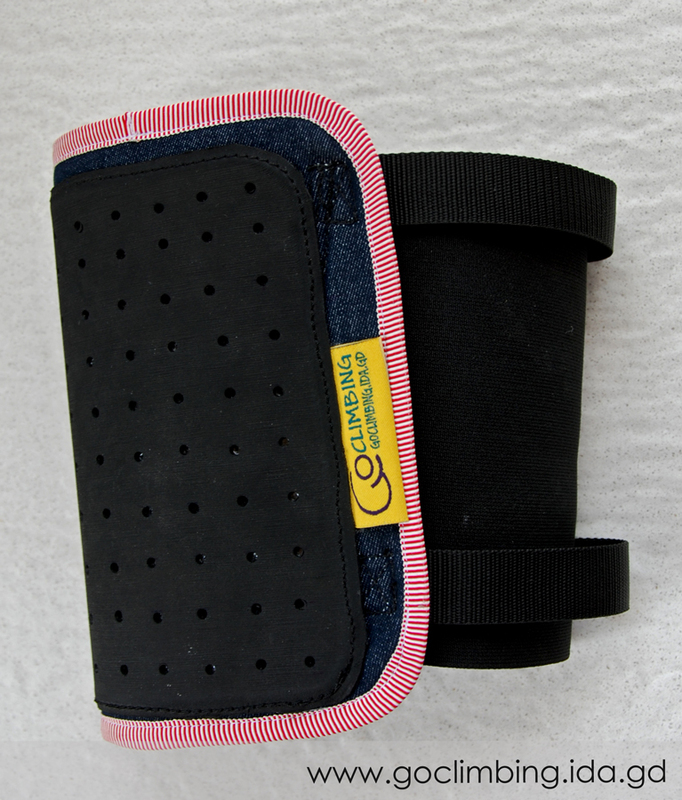 Unlike other models, Perseus knee bar pad not unfold completely – it is pulled over the legs. This makes putting it a little more difficult and nerve-racking, but it gives an opportunity to put it right at the end of the thigh without shuffle off. This can be very important in difficult knee bars. 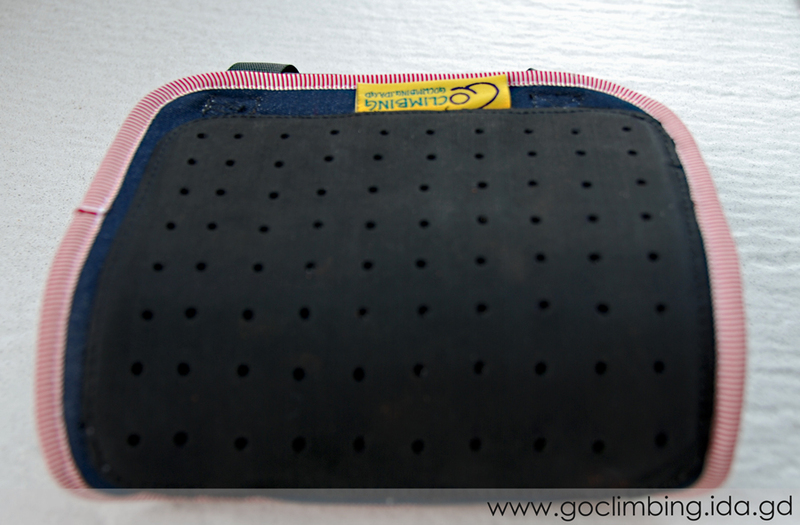 The rubber is again Vibram, but small holes make it softer and more elastic, and thereby the knee pad more easily take the shape of the rock and friction becomes better. 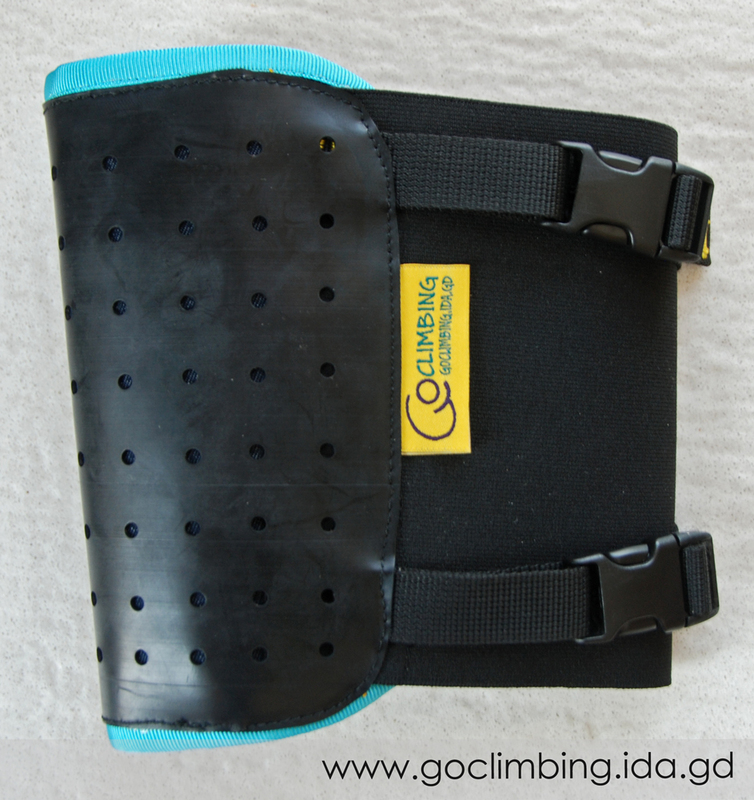 We put two straps with buckles that fix the knee pad well on the leg. 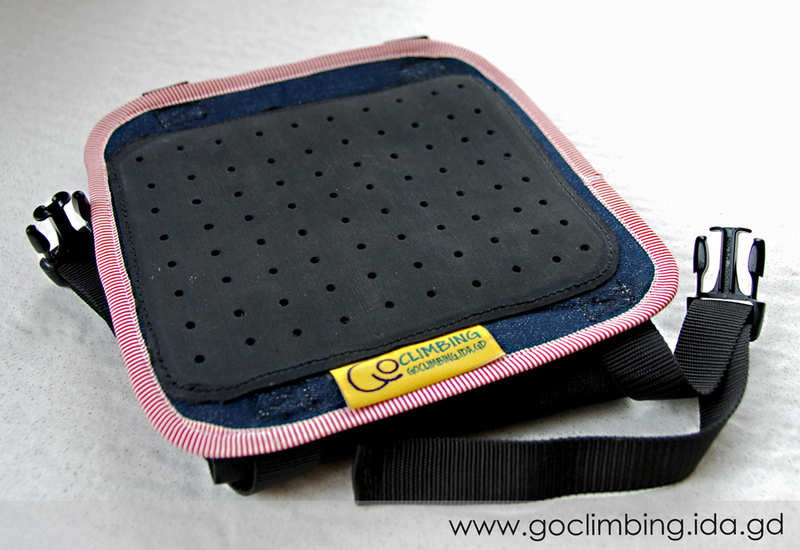 The knee bar pad Perseus is lighter than the other models of Go Climbing pads. 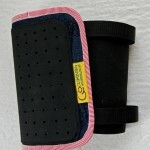 So, if the weight is important for your projects this is the best choice to you. 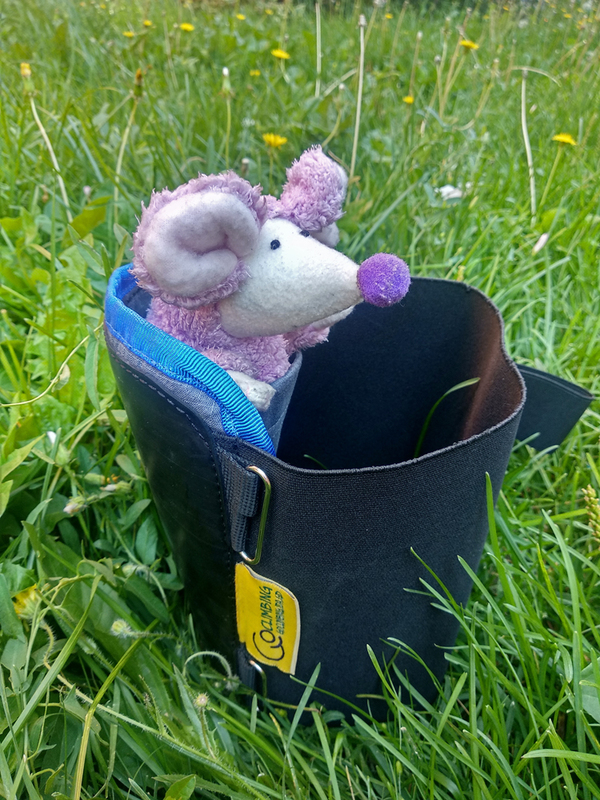 And for those who find the idea with a pocket where to put a piece of neoprene (like in the Acrisius model), as exceptionally good, there is now an option to order the Perseus knee pad with an added pocket. Using this feature you will be ready for the hardest kneebars. I would need two knee bar large size: a ACRISIUSs right, and PERSEUS. I await your payment method.